Enjoy a great coffee and a broad spectrum of wholesome, seasonal foods that cater to a wide array of dietary needs. Enjoy your food and drink in a unique setting; indoors among the artwork of talented local artists and artisans or outdoors in our splendid perennial garden. Choose from one of our more than twenty blends with the friendly and knowledgeable assistance from our efficient staff. 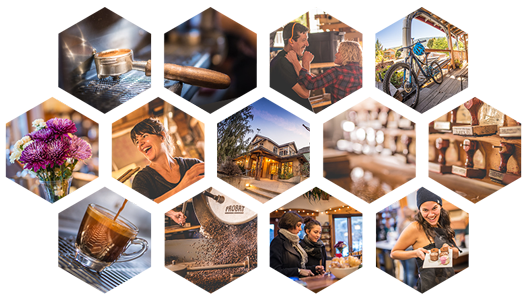 Come experience Nelson’s informal community centre where you can interact with a happy cross section of Nelsonites and visitors from the rest of BC and beyond! 604 Ward Street – is one block up from Nelson’s main street, Baker Street, on the corner of Ward and Victoria.